Comfortable villa with spacious 3 bedrooms, a private pool and views of the beautiful golf course. Ideally located on the western plateau within easy walking distance of the village square and the golf course. Entrance to the complex is restricted. The house is surrounded by a private garden, which is located a barbecue area. In front of the house is a terrace with an outdoor dining area and private pool. 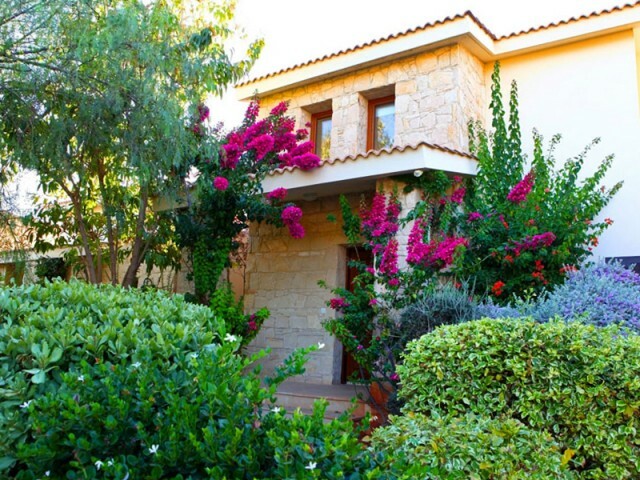 The villa and garden are in excellent condition, which creates a special atmosphere of spaciousness and tranquility. Excellent investment for holiday or permanent residence.